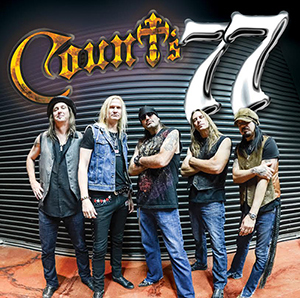 Count's 77, a hard rock band from Las Vegas will launched their debut album on April 29, 2014 with Shrapnel Records. The band is fronted by lead singer Danny "Count" Koker, star of HISTORY"S hit series "Counting Cars". 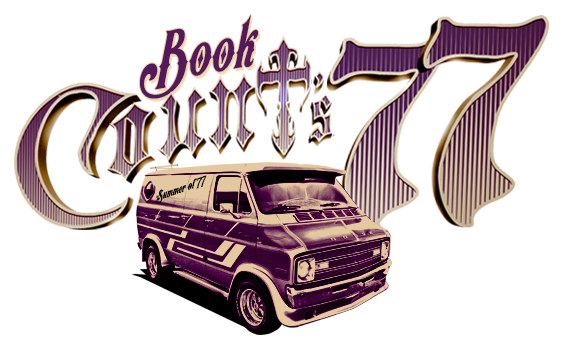 With roots in 70's hard rock, Count's 77 is powered by the twin guitar team of John Zito and Stoney Curtis, the latter of whom has an international following as a recording and touring blues guitarist. With musical roots as diverse as Thin Lizzy, Foghat, The Allman Brothers and Led Zeppelin, Count's 77 stands poised to be one of the leaders of the new classic rock revival, with a sound reminiscent of one of the greatest musical eras of all time. Koker, Count’s 77’s charismatic frontman was singing long before he came into international fame as the owner of Count’s Kustoms, his Las Vegas-based hotrod and chopper shop. Heading into season four of his hit TV series “Counting Cars” on HISTORY, he splits his pastimes between his love of all things automotive and his passion for music and has included Count 77 on the show on seasons two and three. The platform afforded Koker by “Counting Cars” places him in front of millions of viewers each week and has given the band the opportunity to appear on the show. With fans of the hit TV series spanning from the United States to Canada, South Africa, Europe including the UK, Poland, Romania, Spain, Germany, Japan, Israel and South America Count’s 77’s fan base is reaching exterior markets as well. Having performed at motorcycle rallies and large-scale corporate events for thousands of people Count’s 77 is rapidly garnering exposure and being asked to headline shows in Colorado, Texas, Mississippi, Chicago and many more. Stoney Curtis, lead guitarist for Count’s 77, has amassed an international following as a recording and touring blues guitarist, releasing a steady flow of product for the last ten years, including the 2012 critically acclaimed double live CD and DVD set. With international airplay and CD’s which consistently have made Amazon.com’s blues charts, Curtis is not only an amazing counterpart to frontman Koker, he also adds further notoriety to the group stemming from his rich history as a professional musician. The remaining integral members of the band have paid their dues in a variety of recording and performing situations. Tommy Paris, is not only the band’s incredible keyboardist but has been known internationally for more than 25 years as the lead singer of platinum rockers Britny Fox. Rhythm and slide guitarist John Zito forged a career on the LA rock scene before bonding with Koker and Curtis after displaying his savant-like command of 70’s rock guitar chops. Also growing up on 70’s rock, virtuoso rock bassist Barry Barnes and powerhouse drummer Paul Disibio have each been laying down the rhythm for more than 30 years. After touring all over the country in an number of popular bands, Barnes and Disibio landed in Vegas, with Barnes playing bass in the critically acclaimed show “Rock Of Ages” and Disbio working with Blue Man Group. Together they fill the rhythm section position with a strength and authority that is so strong, it cannot be faked and can only be obtained through hard work and dedication. 70’s guitar icons Rick Derringer and Pat Travers perform guest guitar solos on Count’s 77’s amped up versions of their own original 70’s hits Rock n’ Roll Hoochie Coo and Sortin’ Whiskey respectively. 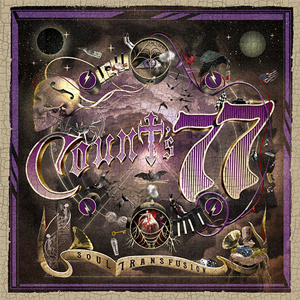 In the summer of 2016, Count's 77 released their second album Soul Transfusion. Eleven all original songs that take you back to sound and times of stadium rock. Soul Transfusion by Count's 77 is available online at Seven Clothing Company. Album artwork designed by Albert OH. For more information, please visit www.counts77.com.